It can be confusing to buy a front load washer. They all look the same with similar features like spin speed, steam, and wash cycles. 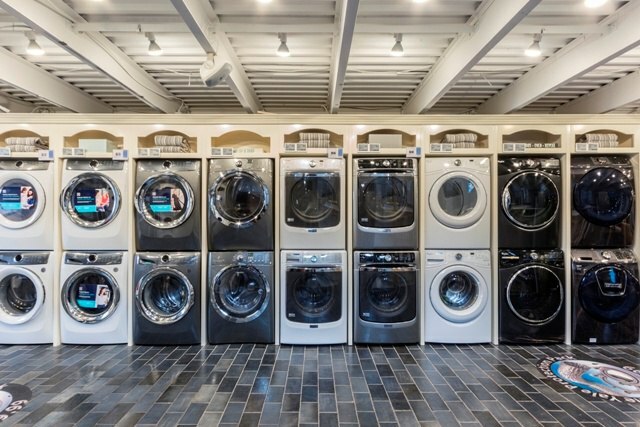 In this article, you will learn about front loads, the new tariff (tax on imported and exported goods) implications, best models and brands to consider, and then the best prices for washer and dryers. Why Buy Front Load Washers? Front loaders are popular because they offer the larger size, almost double of a top load, with better electrical and water efficiency as well as a higher spin speed. This, in turn, reduces drying time, so you save by washing more clothes with less energy. Almost all the brands have 5 wash/rinse combinations and 5 speeds for any type of fabrics. When I started full time at Yale, we sold just one or two-speed washers. Why Not Buy Front Load Washers? 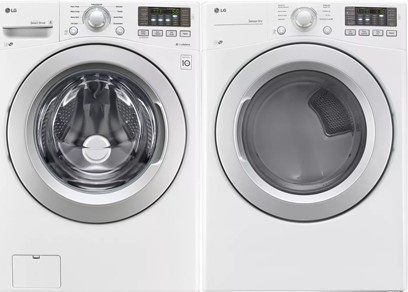 Although the reliability is the same as a top load washer, it is much more expensive to fix a front load. The top loads are simple machines, whereas the front load works on a much more intricate direct drive motor. Then there is the mold issue. You can develop mold in a front load due to the standing water in the gasket. It is easily preventable. Just dry the gasket after each use and then leave the door open to dry any moisture. 2018 will be interesting if you are buying laundry units. Prices will most certainly increase during the year. This article is updated frequently as rebates change monthly anyway. Recommendations can change with prices, which will be more volatile this year. This is the best-selling top load washer on the market. As I said previously, front loads have a larger capacity and use less water and energy, so you will save money in the long run. However, if you are still looking for a top load, this is the single best-selling unit. 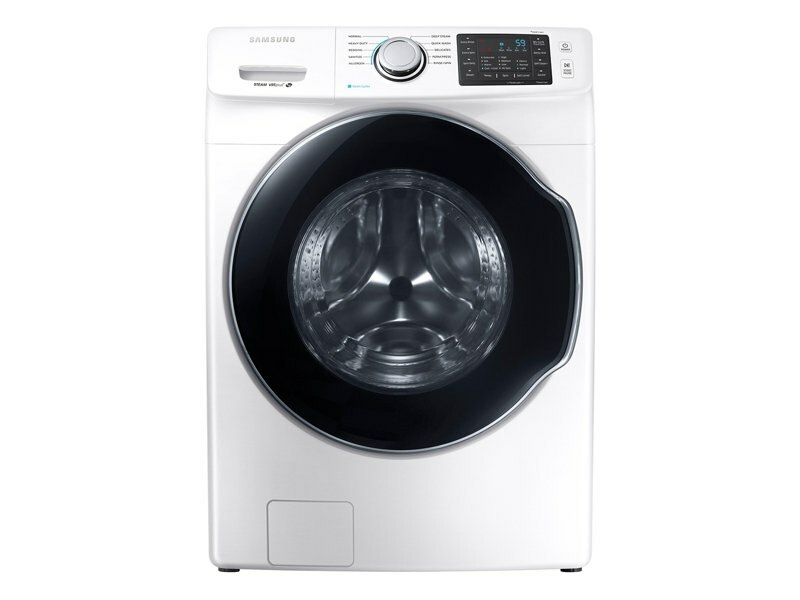 This top load washer has multiple spin speeds, 12 wash cycles including "Quick Wash," and a porcelain drum. This is actually the same machine I sold in 1986. What you will like is its reliability and ease of use. These numbers are based on 30,761 service calls performed in 2017 by our service department. 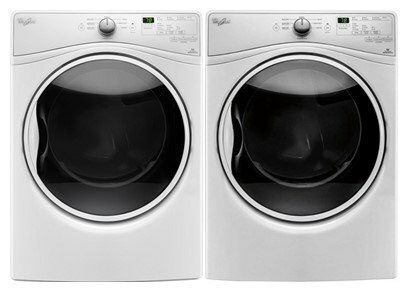 Maytag/Whirlpool (same machine) comes in at number one, followed closely by LG and then Samsung. LG has the base cycles and no steam. However, it is the shallowest at 29.5 inches in depth and won the least serviced after Whirlpool at 5.31% in the first year. This is the better washer to the $499 piece you see online and at Yale. It has a greater capacity of 4.5 cubic feet and steam functionality. If you have children, trying to remove stains from their clothes is a daily chore. Steam is great for loosening stains. This machine also offers Wi-Fi, so you can track the cycle time on your phone. It is reliable but Samsung needs repair within 7.79% of the time within the first year. Editor's Note: Most of the complaints against LG and Samsung relate to lack of service when there is an issue. You need to ask who will be repairing your laundry before you buy. 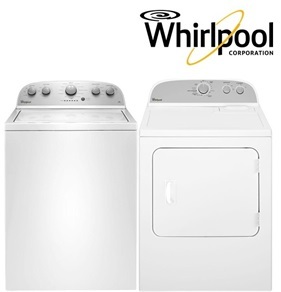 Whirlpool is the lowest in terms of repair at 3.82%. This machine has the Smart Dispenser, which automatically sends the right amount of detergent into the wash. It also has a steam function and is 4.5 cubic feet. This is the best selling Maytag washer (and Whirlpool who is the actual manufacturer). It has every cycle including steam and a “Fresh Hold” option which will rotate the machine to keep clothes fresh in case you are not around to unload them. The detergent dispenser will hold up to 12 loads, so you do not have to reload after each wash. Maytag features an overnight cycle. Add your gym clothes, an outfit or small load and it will be washed and dried the next morning. In terms of reliability, Maytag, along with Whirlpool, is among the best at 6.58%. Their parts turn around and support is better than their competition, so problems are solved faster. Most people concentrate on the washer as part of a laundry purchase, yet the dryer is still very important. Almost all of the front load dryers now have a "sensor dry" which automatically shuts down the heat by sensing how much moisture is in the clothes. This will save you money and prevent shrinkage. ￼This pair is very similar to what our folks bought 20 years ago. It still works well and is to repair. However, it is much more expensive to operate than a front load and uses more energy and water. 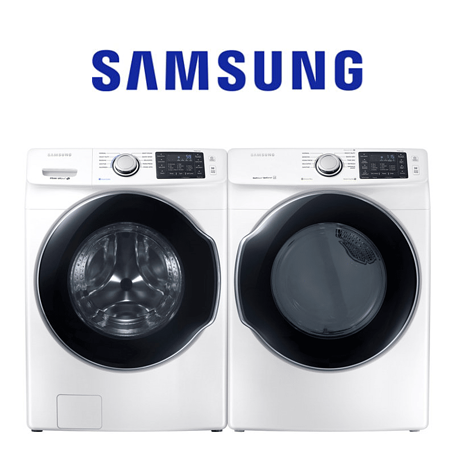 Samsung's entry-level laundry pair come with their diamond drum interior, which is gentler on clothes than most machines and their washer uses the power of steam for a deeper clean. 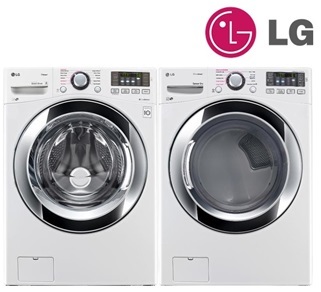 LG produces a decent machine, especially for their technology. 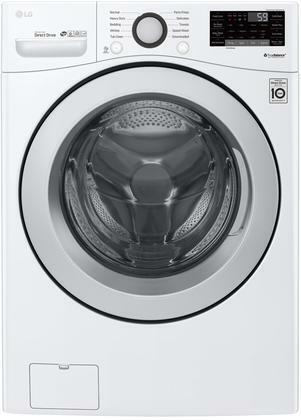 This washer has the capability of transmitting data by phone with the Smart Diagnosis program to identify any issues. However, the repair turnaround for parts is a bit slower. This is a good set with steam in the washer to power out stains and steam in the dryer to refresh and release wrinkles form clothes. Both are very large. The washer is 4.5 cubic feet and the dryer is 7.4 cu. ft. 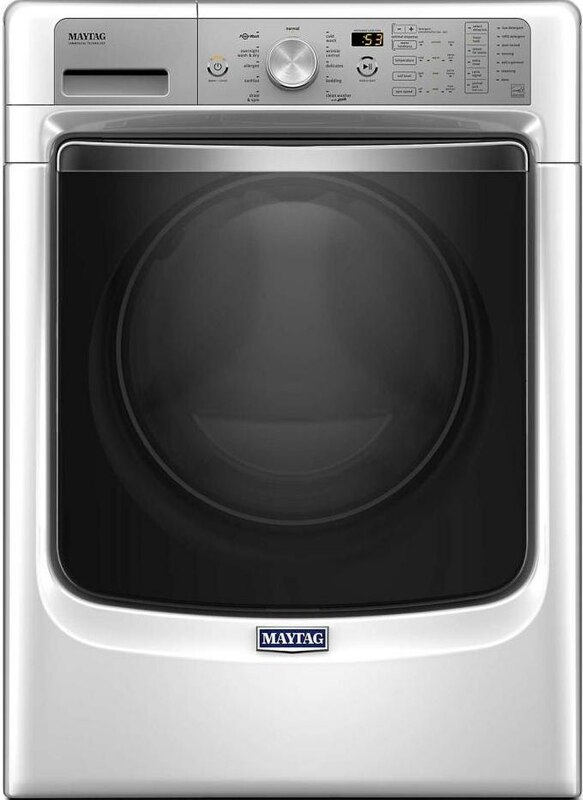 The top of the line Maytag Maxima set will give you every conceivable feature you could want in a machine. Steam, a 1,400 RPM spin-speed, and 11 wash cycles are standard on most high-end machines. What isn't standard is the overnight wash cycle which allows for a small load to be washed AND dried overnight. The dryer adds steam as well. Confused? Don’t be. All the machines have an abundant number of cycles and features. Every unit has 5 speeds and different temperature selections for every fabric type. Back when I started, it was 1 speed and three temperatures. Samsung is the largest and fastest but needs service a more than the others. 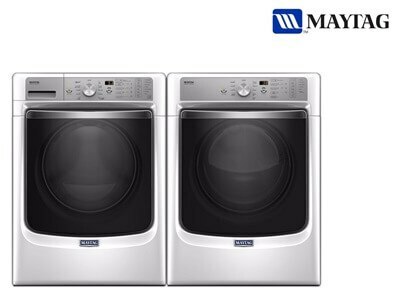 Maytag is the most reliable in terms of percentage with the fastest turnaround for parts and service. Their 8200 models may currently be the best value. 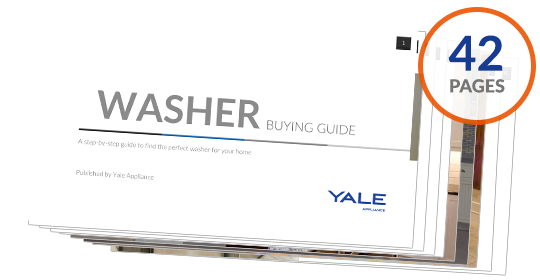 Download our Yale Laundry Buying Guides with all the features, terms, and brands of laundry. Over 310,000 people have already found answers in a Yale guide.